The all-new 2020 Lincoln Aviator seven passenger three row SUV, slotted between the Nautilus and Navigator in the SUV Lincoln line-up, is powered by either a standard twin-turbocharged 400 horsepower 3.0-liter V6 engine paired with a 10-speed SelectShift® automatic transmission or in the Aviator Grand Touring, a twin-turbocharged engine and electrified technology targeted to deliver 450 horsepower. 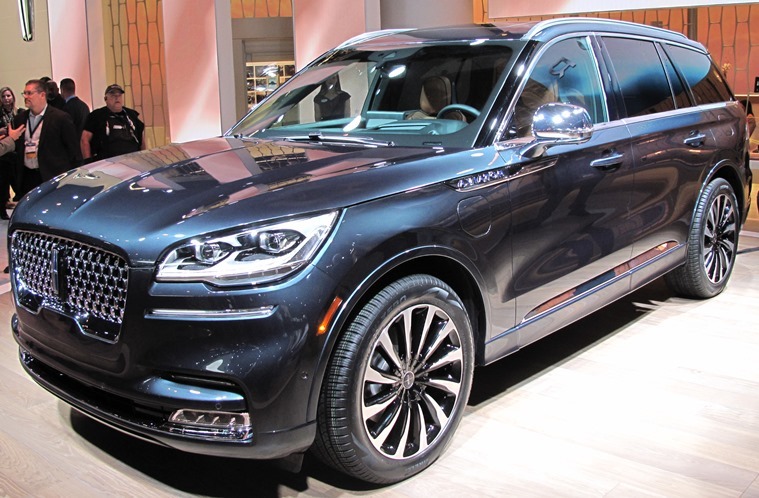 All Lincoln vehicles come standard with a suite of driver-assist features known as Lincoln Co-Pilot360™ including Traffic Jam Assist, Evasive Steer Assist, Reverse Brake Assist and Active Park Assist Plus. Lincoln’s Phone As A Key technology, debuting in the all-new Aviator, is activated through the Lincoln Way™ app allowing owners to lock and unlock, open the liftgate and, most importantly, start and drive the vehicle, all without a traditional key. Phone As A Key offers additional amenities. Drivers can recall individual preferences for Phone As A Key offers preferences for adjusting seat, mirror and steering column positions. Comfort and entertainment settings can be activated through the feature as well. Should a phone battery go dead, a passcode can be entered on the standard exterior keypad to gain entry then a backup code can be entered on the center touch screen to start and drive the vehicle. If a phone is lost or stolen, Phone As A Key can be easily deleted.